Nobody wants to be the lame dude, but I bet you’d rather be the lame dude than the dude that tries too hard to be cool. Man, no one wants to be that guy. No one wants to be near him, no one wants to talk to him, he’s an outcast. At least the lame dude is being himself, and that’s what matters. Be you. Nothing is lamer than walking around in sunglasses at night, all leather outfits, tough talk, and a braggart attitude. It works for some people, like The Situation, but when was the last time The Sitch was cool? Cool is a difficult concept to capture. Authors have written books about it, and marketers try to channel “cool” in order sell more products or change their brand image. It’s tough out here for some, especially these video game characters. Unfortunately, these characters were designed to be the “cool guy.” They’re brash, arrogant, flashy, brooding, you name it. The one thing they all have in common is that they try to hard to be cool or they’re extremely sleazy in every game they’re in. At times it’s comedic, but often times it’s downright annoying and really distracting. No who wants to be distracted when they’re trying to finish a game. These dudes' sad attempts at being cool has earned them the douche bag honor, and so we at Complex have given these characters the official douche bag seal of approval. 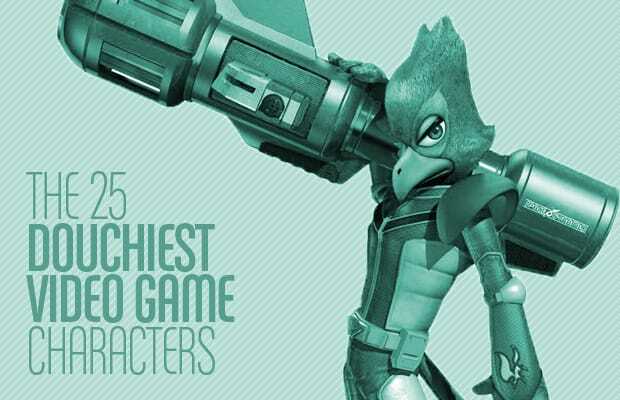 Here’s our list of the 25 Douchiest Video Game Characters.